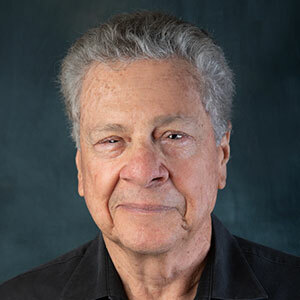 Jeffrey E. Karpel, Of Counsel, Jeffrey E. Karpel is Of Counsel with the firm, after having practiced law for over fifty years in the private sector as manager and member of his own law firm. Jeffrey heads up the Firm’s Subrogation and Commercial Recovery Practice Group and has represented numerous insurance companies in all subrogation matters including United Services Automobile Association, State Farm, Progressive, Liberty Mutual and Allstate Insurance Company. He has also represented USA Gas, Enterprise Rental, Progressive, Hertz, Avis Rent A Car, Budget, Payless Rental, Zipcar and Ruan Leasing. Jeffrey is well versed in complex subrogation matters relating to product liability, uninsured motorist, property and casualty claims. Jeffrey also oversees the firm’s Practice Groups for Estate Planning and Personal Injury. He handles all types of Commercial Disputes and Litigation, Real Estate Transactions and Litigation and Business Transaction matters. Jeffrey acts as general counsel for companies of all types. Jeff is an avid traveler along with his wife, Diane. His hobbies include metal sculpturing, and spending time with his grandchildren.